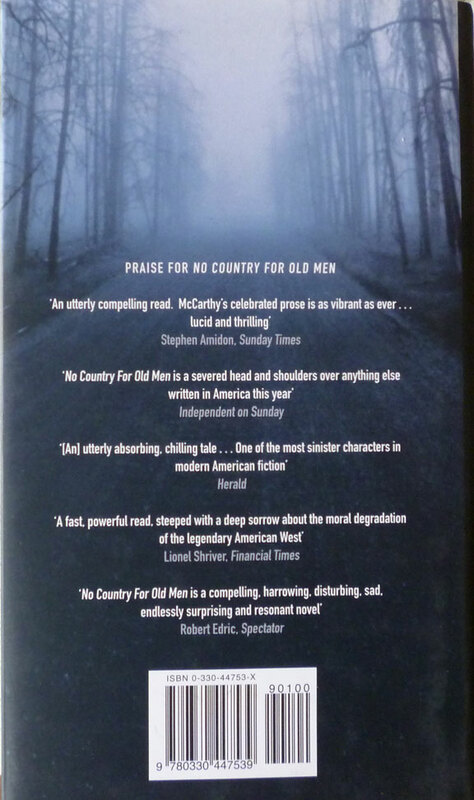 Cormac McCarthy's The Road was first published in hardback in 2006, in the US by Alfred A. Knopf and in the UK by Picador. 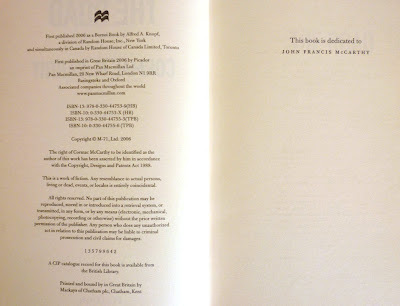 The edition you can see above is the Picador first edition and first impression (with the full number strike-off line on the copyright page), which had a much smaller print run than the US edition (and subsequently went through a number of printings), and is therefore much scarcer and generally more expensive than its American counterpart. In fine or near-fine condition, third or fourth impressions go for £10–£15 or so; second impressions for £20–£30; and first impressions vary wildly from £125–£250. My near-fine copy was a lucky find; I'd been on the lookout for a British first edition/first printing for a few years, and finally chanced upon this one in a Cecil Court bookshop for £30, which, considering Cecil Court booksellers tend to price their wares at the higher end of the scale, wasn't bad at all. 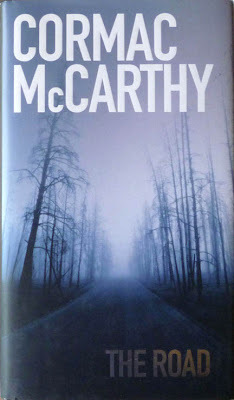 First editions of all of Cormac McCarthy's novels are in demand, and The Road – which was his last novel to date – especially so; it was awarded the Pulitzer Prize for Fiction in 2007, begat a well-received, largely faithful film in 2009, was recently chosen as one of twenty-five books to be given away on the next World Book Night (the list also includes Mark Billingham's Sleepyhead), and has been announced as a set text for A-level students from January 2012. 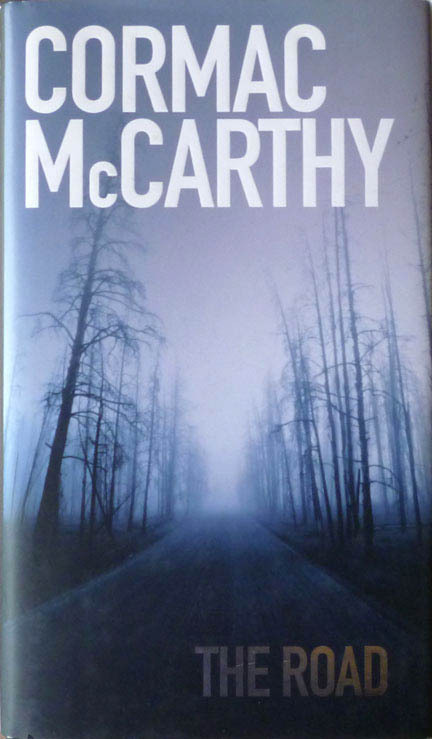 It's easy to see why on that last one: the novel is famed for its grammatical idiosyncrasies, notably McCarthy's fondness for sentence fragments, the absence of quote marks around dialogue, and the lack of apostrophes on certain contractions ("dont", "cant", etc). There's an interesting post (and attendant comments) on the grammar of The Road here, and I actually considered writing this post in a mock-Road manner ("Published in 2006. Valuable in first..."), but figured that might get a bit much. Of course, these grammatical peculiarities shouldn't distract from – indeed are intrinsic to, the devolving language signifying the disintegration of society – the success of The Road as a powerful and memorable piece of fiction. 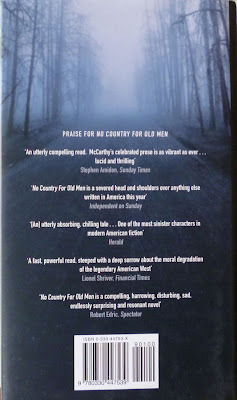 Written in the third person in short passages (there are no chapters), it's a frequently terrifying account of a man and a boy's journey across an ash-covered, ruined America, with occasional flashbacks to the immediate aftermath of the unspecified apocalypse which destroyed the country. There's a glimmer of hope at the end of the novel, but by and large it's a relentlessly bleak affair, the only comfort being the boundless love the father has for the son. On which appropriately gloomy note we leave the end-of-the-world behind for now – to be returned to at a later date, as I've some other post-apocalyptic fiction I want to write about – and move on instead to a suspense novelist who I blogged about in a short run of posts in May of this year: P. M. Hubbard. Very interesting, and useful information. Thank you. 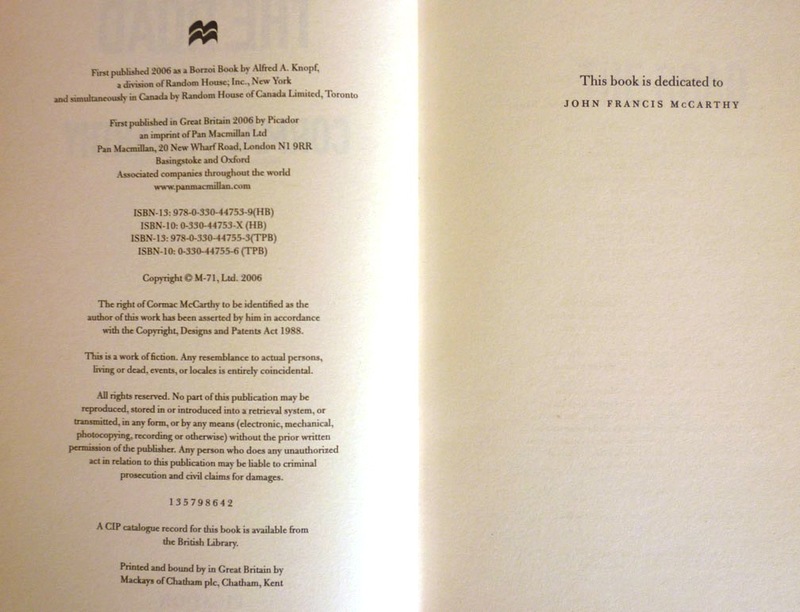 I have the edition that you own, but not knowing anything about book collection I presumed that the two hardback barcode references meant that it was a first printing/second impression. I've just found a second copy in a charity shop for £1, so I'm very pleased indeed! Glad to be of assistance, sir. And nice work on the charity shop score!